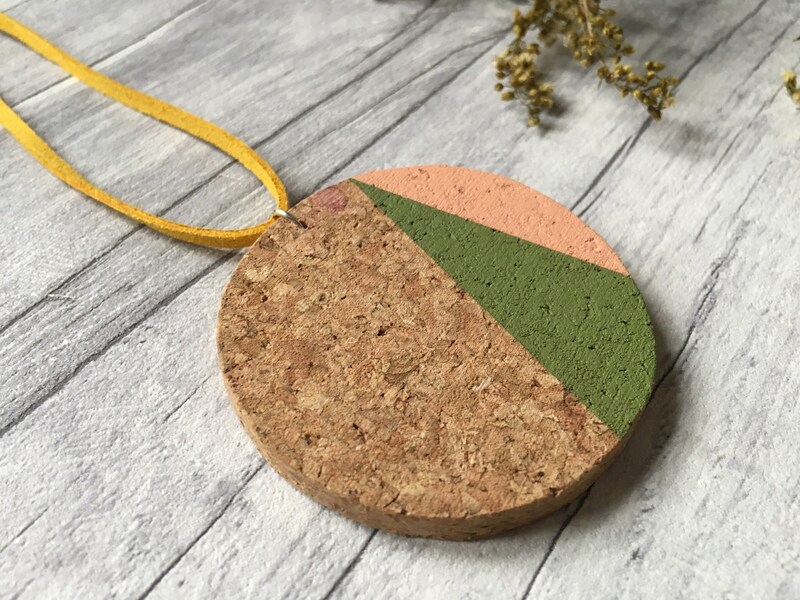 This awesome chunky cork pendant is a wonderful way to add a little spring snazz to your outfit! 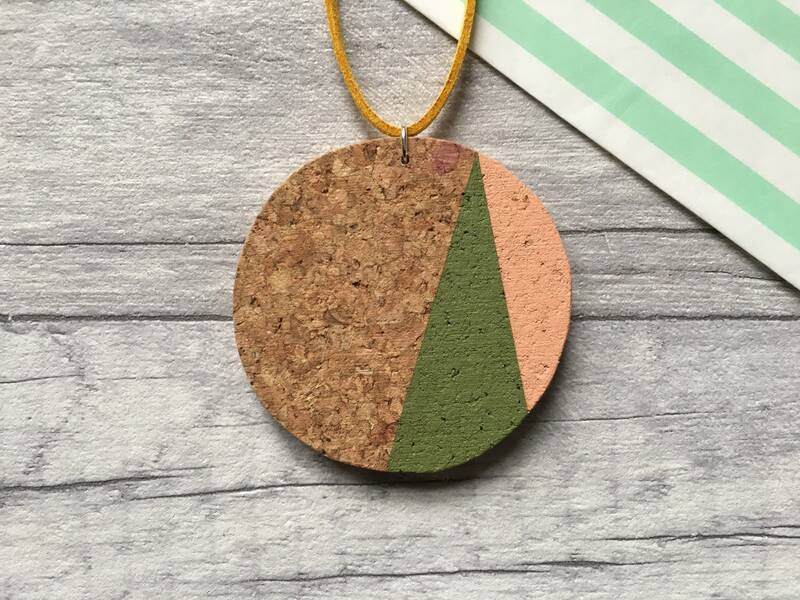 The cork circle has been carefully cut by hand before being painted in a simple but striking, abstract design! 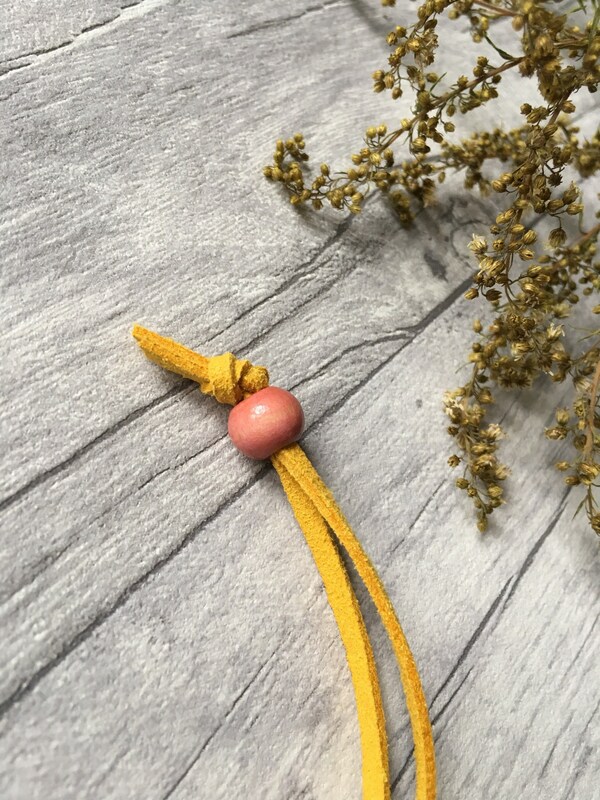 A sterling silver jump ring allows the pendant to hang on a deep yellow, faux suede cord which complements the natural cork. 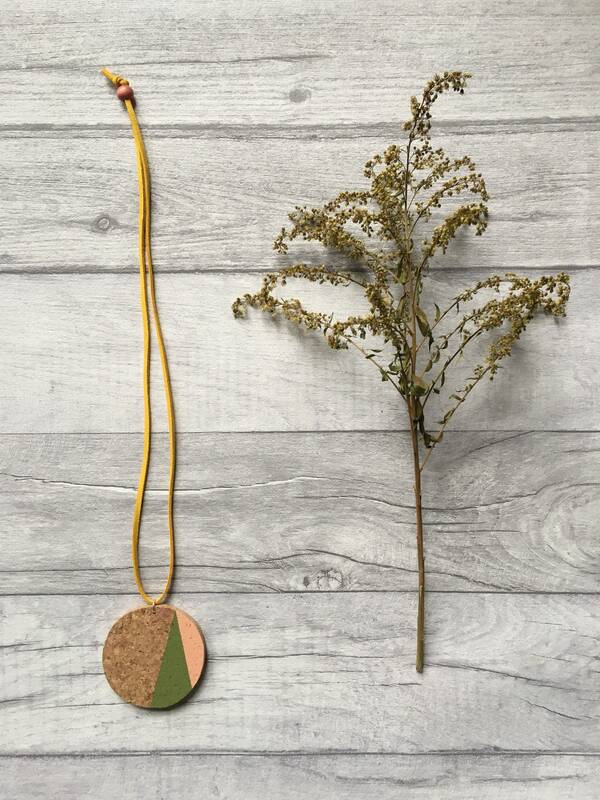 This awesome necklace is finished with a brightly painted, wooden bead which can be used to adjust the length if desired. 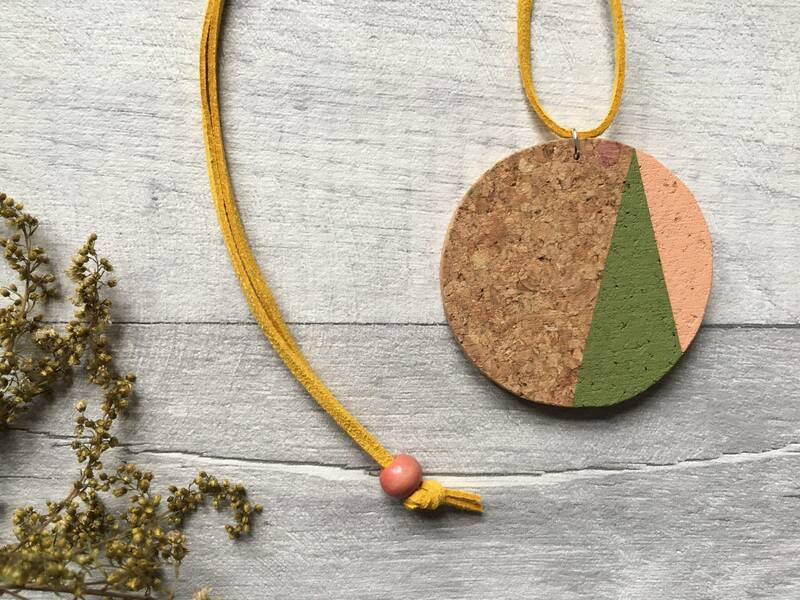 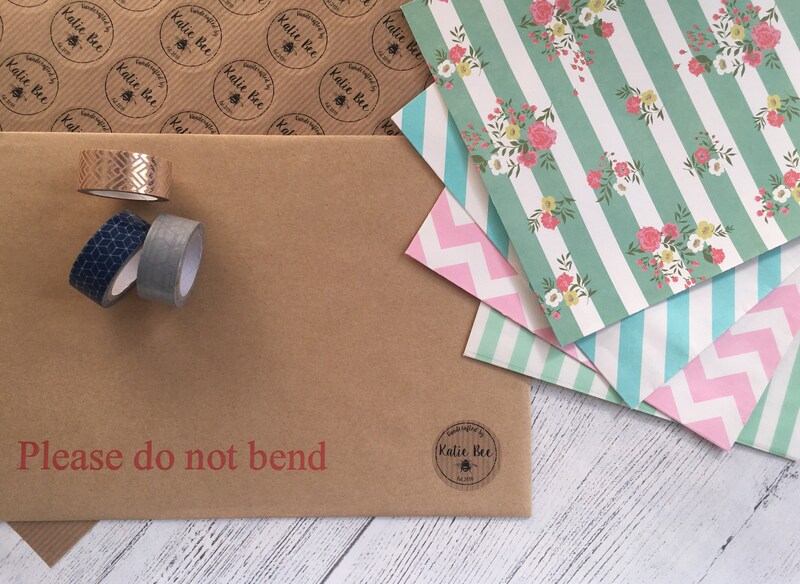 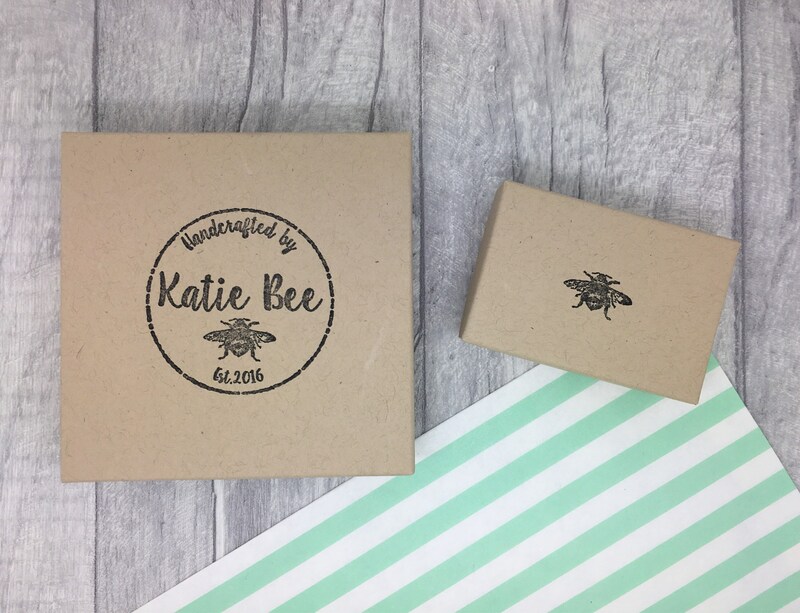 Your colourful necklace comes in it’s own Katie Bee, recycled kraft box before being popped inside a beautiful, patterned paper bag! 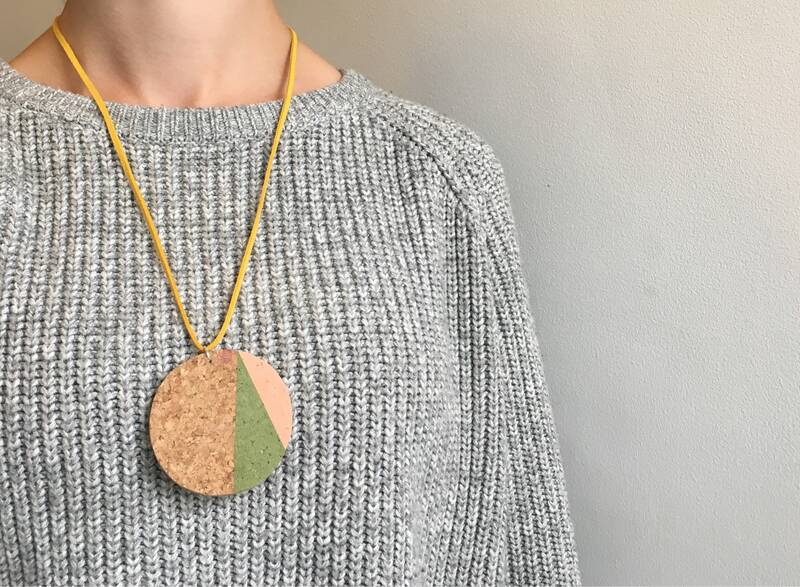 Brighten up your day with this bespoke chunky, abstract pendant!